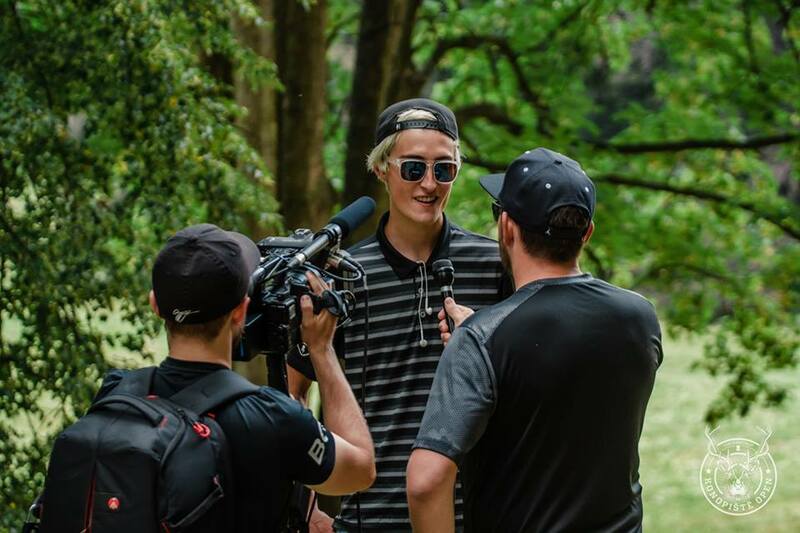 After he shot the hot round for the third straight day—constructing a nine-stroke barrier between second place and himself—I asked Eagle McMahon what sort of statement he believed he was making at the Konopiště Open—the season’s first PDGA Major. There’s no denying that everyone at the tournament is aware of that fact. Averaging 1074-rated golf over the last three days, McMahon is at an impressive 46-under par 155. The next closest to him? Discmania teammate Simon Lizotte at 37-under par 164, whose 1051 average round rating through three somehow seems lowly compared to what McMahon has accomplished. Seppo Paju is in third with a 36-under par 165. And, in what may be the second biggest story of the Open division after McMahon’s dominance, Paju is tied with a resurgent Will Schusterick, whose 13-under par 54 effort today took him from chase to lead card. I then asked him why he believed that ‘perfect’ switch in him had flipped. 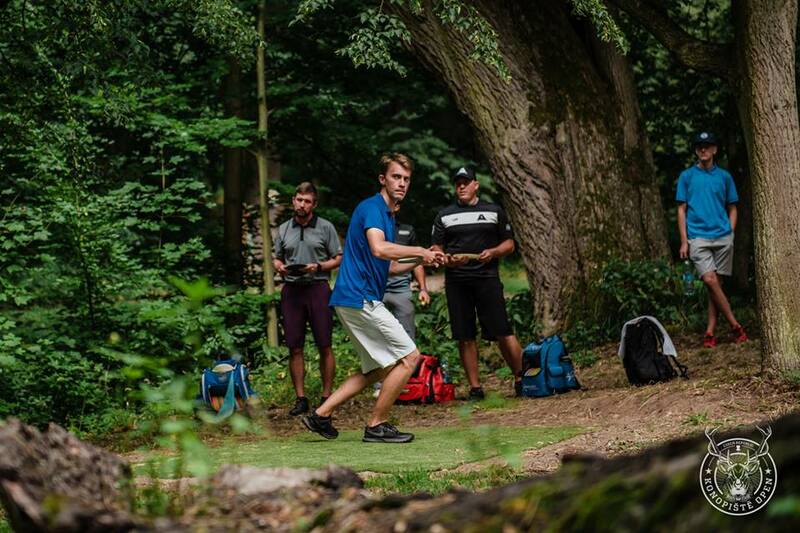 Lizotte was feeling far from perfect after round three, however. McMahon’s excellence had demoralized Lizotte, even though he had shot a 1046-rated round. Though not overjoyed about his round, Paju was not as upset as Lizotte. Paju’s main concern was putting woes—a theme from the long, and strong-driving Finn—while distance and accuracy from further out has come easy. McMahon also has had an effect on Paju’s view of his performance and expectations for tomorrow. With McMahon’s dominance becoming almost old news at this point, perhaps the biggest story of the day was the success of Will Schusterick, who went bogey-free and birdied the last six holes of the round to reach 13-under and snag a share of third and a spot on the final day lead card. 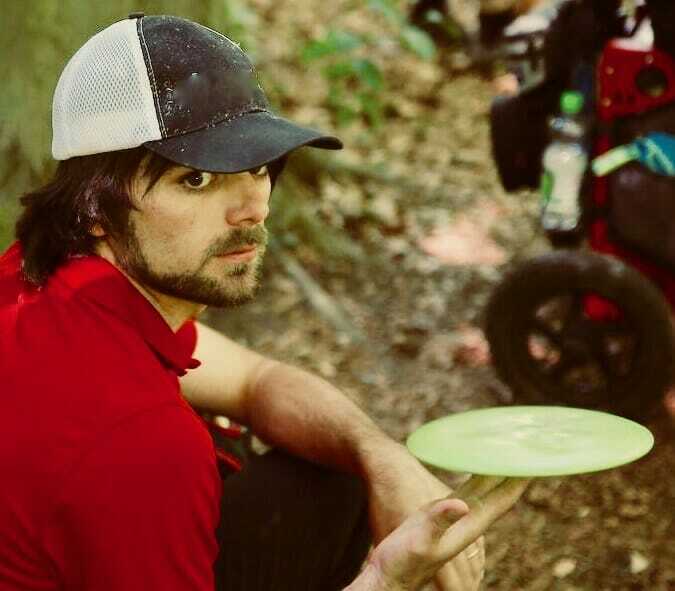 When I asked him about how felt returning to a lead card at a PDGA Major after a long time out of the running, he shrugged, indicating some inherent confidence. About his goals for the tournament, Schusterick was realistic. Fellow Prodigy Disc team member Paju expressed excitement when I asked him about Schusterick’s return to the top of the leaderboard. Not to be forgotten is that Paul McBeth is lurking just one stroke off third at 35-under par 166. He’ll be on the chase card, and everyone on the lead card, except perhaps McMahon, will need to be looking over their shoulders tomorrow. Though farther behind, it is also not out of the question that Ricky Wysocki—currently at 32-under par 169—could shoot really hot tomorrow and put pressure on those looking for a podium finish. Though McMahon has made the outcome almost a foregone conclusion, with perfect conditions forecast again tomorrow, and a course ripe with birdie opportunities for the world’s top players, the battle for second is likely to be tight and fierce. Comments on "McMahon Continues To Soar In Konopiště Open Third Round"